The Professional Landcare Network (PLANET) released the list of winners for the 2013 National Landscape Awards of Excellence, formerly the Environmental Improvement Awards. The awards recognize superior work in the areas of landscape, lawn care and interior maintenance, design/build as well as installation, container plantings and erosion control. This year, 105 entries were recognized with an award in the following categories: 35 Grand, 34 Merit and 36 Recognition. 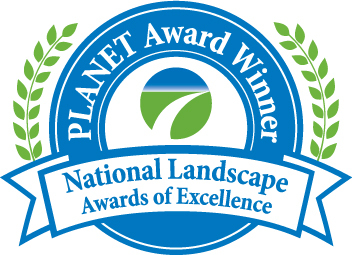 The full list of 2013 award winners can be viewed on PLANET’s website. Recipients will be recognized during a multimedia show of all of the winning projects at the PLANET Awards & AEF Recognition Ceremony at the Green Industry Conference in Louisville, Ky., Oct. 25. At that time, four of the winning entries also will be selected to receive the highest award, the Judges Award. The Audience Choice award winner will be chosen then as well, based on live input from the audience.